Horrific as it is, the carnage of this early battle scene – and others that followed – reassured me that I would be able to connect to the novel eventually, that there would be points of intimate and emotional contact amidst the mathematical equations. Our protagonist Kel Cheris is an infantry Captain with a gift for numbers, a strong sense of vocation and a penchant for TV melodramas. As a Kel, a member of the hexarchates’s military caste, she has been drilled in formation instinct and hierarchical discipline, mechanisms that ensure soldiers will obediently go to their deaths when asked. In Kel ideology her life ‘is a coin to be spent…’ (p235) by her superiors, unquestioningly. However, Cheris’s mathematical abilities give her an advantage and during a particularly sticky combat situation she breaks with her training to use an unauthorised battle formation to save her platoon. It brings her to the attention of powerful people, plunging her into a combat scenario that no training could prepare her for. Opposition forces have seized control of the Fortress of Scattered Needles, a key strategic asset, and the six ruling castes of the hexarchate are willing to risk extreme measures to get it back. Their most powerful weapon is an undead general, Shuos Jedao, a master strategist and unrivalled tactician who was executed almost four hundred years earlier for the mass murder of a million people. Kel Command have kept his intelligence alive, merging him with a living host to deploy when needed; Jedao is widely understood to be a genocidal psychopath and hosts are liable to go mad but needs must. Cheris is co-opted as his newest ‘partner’ and finds herself promoted to Brevet General of her own fleet, catapulted into command with only the voice of a four-hundred-year-old murderer in her head for guidance. This brief synopsis makes Lee’s debut sound so far, so military SF. 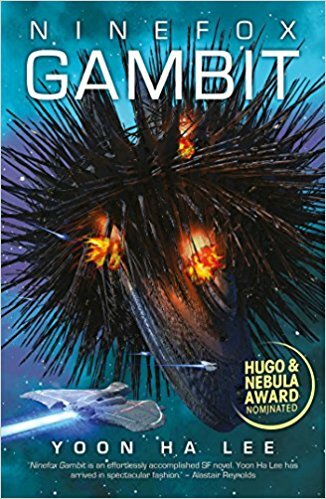 What distinguishes Ninefox Gambit is not its plot – which is really quite thin, as space opera plots go – but the rich ideological and technological soil from which it emerges. It shares a heritage with anthropological SF and secondary world-building that is quickly apparent. The hexarchate is a strictly and relentlessly controlled society, whose power structures and technologies are predicated on specific ways of measuring and marking time. These calendrical rules matter psychologically, politically and technically, and the effects of deviations are real. 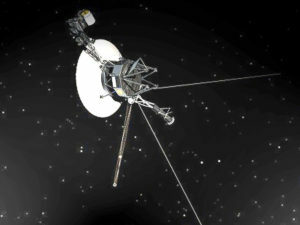 Ships, weapons and people malfunction in unpredictable ways outside of fixed calendrical parameters. Heresies or ‘calendrical rot’ threaten not just the social order but the mechanics of civilisation. The calendar must be rigorously defended and reinforced through social rituals and practices that include the torture of heretics during daily observances. The language and the ideological fervour of this system is powerfully reminiscent of Europe in the Middle Ages, a culture constrained by a metaphysical way of seeing the world that shaped what it was possible to do, think and know. The ruthless suppression of opposition is justified and the power of ruling elites confirmed by the sheer impossibility of doing things any other way. The Hexarchs are willing to field Jedao to take back their Fortress from the heretics because even a genocidal maniac is preferable to the threat of an alternative system of government. Although the calendrical system is all encompassing, the focus of Ninefox Gambit is deceptively narrow. There are six castes in Lee’s world but we are only properly introduced to three: the Kel, the Shuos – assassins, intelligence gatherers and strategists – and the Nirai, the mathematicians. 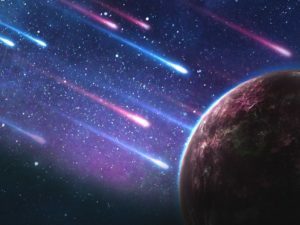 Living and working outside of the castes are millions of hexarchate citizens on unseen planets. The action of the novel takes place almost exclusively on-board ship or Fortress but the rich and alternative cultures and languages of these home worlds is hinted at. Cheris herself grew up on one, the first of her family to leave and join the Kel. 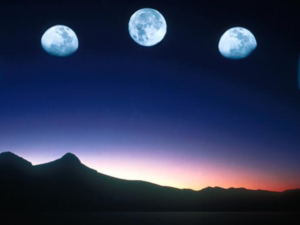 It’s also clear that there are other nations or civilisations beyond the hexarchate’s borders, societies who do not abide by the calendrical system. With shifting points of view – from infantry soldiers to Hexarchs – the book appears to position you at the centre of a world but in fact tunnels your vision on to a single chain of events. While we are embroiled in a crazy mission to take back the Fortress of Scattered Needles, the book hints that our central story is the sub-plot of another, much bigger one. What at first seems like an expansive act of storytelling is revealed to be part of something infinitely more complex. Hexarchate society is in the business of weaponizing people. Jedao is only the most exquisite example in their arsenal; every single Kel in Ninefox Gambit is a walking tactic, a gun to be fired or sacrificed on demand. While the Nirai have invented dozens of gruesomely effective ways to kill, all of them are dependent on willing Kel and Shuos to act as delivery mechanisms. The caste culture works to depersonalise and turn individuals into types and functions but Lee pushes back against his own creation, repeatedly turning to the hidden inner worlds of his characters. Cheris in particular has some delightful foibles. As aforementioned she likes bad (and completely incomprehensible sounding) dramas; she enjoys duelling, even though she isn’t very good at it. Her mathematical perception of the world has led her to befriend the sentient robot servitors who run maintenance and repairs on board ship. The relationship that develops between Cheris and Jedao in the shared space of her body gives them an outlet for sharing memories of their family and friends. Lee works hard with these details, to achieve that delicate balance between the dynamics of alienation and recognition. Increasingly as the novel progresses we are given access to the minds and experiences of peripheral actors, and witness the interplay of their personalities and calendrical indoctrination. It makes for a choppy and uneven second half to the book but Lee’s decision to take on multiple points of view during the siege at the Fortress of Scattered Needles is heavy with pathos. Infantry soldier Kel Hren hums her own compositions as she is blown apart by an amputation gun. Captain Kel Mieng, awaiting deployment on a suicide mission, remembers getting locked in a bank because a friend accidentally set off the alarm. The confusion of Kel generals and officers makes it difficult to process the exact movement of people and things around the plot, but that doesn’t detract from the cumulative emotional effect. At the heart of the book is a story about rebellion against tyranny – a romance of revolution – which is probably why it has been so frequently compared to Ann Leckie’s Imperial Radch trilogy. We come to understand that Jedao is on a centuries-long quest to destroy the hexarchate and put an end to its pointless and endless wars. But whereas Leckie’s Breq adopts a pacifistic approach to social change, Jedao and increasingly Cheris forge a path of blood and annihilation. When Cheris is joined to Jedao she is warned that he’s unstable, and given instructions to kill him as soon as he starts making sense to her. The implication is that his madness is coercive, somehow appealing. Not only does he start making sense to Cheris, he starts making sense to the reader too. Any initial disgust and discomfort we felt for Jedao’s extreme crimes against his own people start to sound much more like heroism than insanity. The ambitious sociopath is apparently revealed to be working for the greater good; willing to sacrifice his own moral integrity and the lives of countless others if only he can destroy the hexarchate’s overarching structural evil. 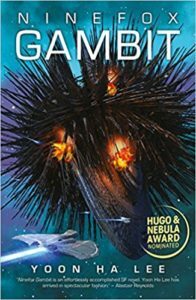 A good novel promises to reward re-reading and Ninefox Gambit certainly falls into that category. I’m aware that I expended a lot of energy simply understanding it this time around and was only peripherally aware of its thematic delicacy. I haven’t been able to digest the ways in which it confronts narratives of mental illness and the genderqueering of Cheris’ body for example. I’d also like to revisit the extent to which the narrative is complicit in Jedao’s journey and approach to rebellion. On first reading the book it left a rather ashy taste in my mouth in this regard. The final chapters, in which Cheris is given unfettered access to memories of Jedao’s life, skirted dangerously close to lionising him. It’s notably not the first book on my shortlist to present this kind of ethical dilemma. The Fifth Season also questioned the utility of destruction to effect social change, charging a highly sympathetic character with an act of mass murder. As with Jemisin, I very much hope that Lee will address some of the broader implications of Jedao’s actions in his sequel Raven Stratagem. In the mean time I would bet money on the likelihood of my rereading Ninefox Gambit sooner rather than later. More than any other title on my shortlist this one seems like an obvious choice for the actual Clarke jury. This isn’t something that I ordinarily would have picked up – mil-SF isn’t my thing – but I’ve been an admirer of Lee’s short fiction for a long time. It’s so conceptually weird that I found it engaging; as you note, it’s definitely of the ‘toss-you-into-the-deep-end-of-the-pool’ flavor of SF. It is a pretty fascinating background reality. I’m not sure that it can actually be considered SF, rather than fantasy, although you could assume that it’s an alternate universe in which the laws of physics are different, such that what is known as the ‘instrumentalist’ interpretation of quantum mechanics (short version: the consciousness of observers plays a fundamental role in determining events) has been cranked up to eleven. Someone (I can’t recall who) described the novel as ‘weaponized geomancy’, which I thought was apt. It does raise a lot of moral issues that I hope will be addressed in the two sequels. I’ll certainly read the next one.